Is All The Pessimism At The Metals Conferences Warranted? Brien Lundin, Editor of The Gold Newsletter joins me today to address the general pessimism that we both saw at the recent resource investment conferences. While it is understandable for metals bulls to be cautious on the overall sector, after all it has been a log drawn out bear market, Brien shares some reasons to be optimistic. Stocks can go higher and gold can go lower without ruining the bullish potential for the rest of the year. Sentiment appears to support the bullish case as the bulls are the contrarians right now. Given the structural problems that exist in Europe and Japan, and the need for China to continuously devalue in order to maintain high employment, it is hard to believe that the dollar will not soon continue its rise. 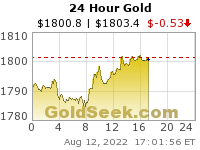 If the dollar does continue to rise, this will impede rises n the price of precious metals. Against this is the collapse of the petrodollar system and the belief that a collapse of the banking system is possible, leading to a desire to preserve wealth by holding real assets. History indicates, however, it is possible to kick cans down the road much longer than most people believe possible. Klondike Gold Corp. has released assays from the final 27 drill holes of the 2018 drill program testing various targets, including the Nugget zone, at the company’s wholly owned Klondike district property, Yukon Territory. It makes me wonder when (KS) Klondike Silver will get their ducks in a row and start doing some exploration to match. Skeena Resources Ltd. has released final gold-silver drill results for six holes from the recently completed phase I surface drilling program at the Eskay Creek project located in the Golden Triangle of British Columbia. The multifaceted phase I program was performed in the 21A, 21C and 22 zones. Assays reported in this release are from the 22 zone. Reference images are presented on the company’s website. I talked about this months ago and I don’t like it. Americas Zinc Corp is more like it. (USAS) (USA) Americas Silver is one of the few Silver companies exercising some common sense in this low metals price environment, just had their best production quarter of the year, and there are many more Silver companies that I’d be bearish on way before them. Now that they are producing at their targeted throughput, have dropped their cash costs and AISC down to best quartile, they should have a much better year once investors wake up to their longer term strategy of mining more Zinc/Lead today so they can mine their Silver, Gold, Copper tomorrow (when it actually makes economic sense to do so). Ex, They missed their 2018 guidance by quite a lot: 1.4M oz of silver instead of 1.6-2.0M and 6.3M silver eq. oz instead of 7.2-8.0M. I’m glad I turned my attention to IPT over a year ago. It will remain more of a base metal producer than a silver producer but the price is now right for its silver exposure to deliver the kind of performance that I want as silver rises. Matthew – Yes, they missed their 2018 guidance because it took them longer to ramp up San Rafael than expected, but that is par for the course with any ramp up of a new mine. Their 4th quarter finally got them on track with expected quarterly guidance, and that is why I expect them to have a better year in 2019 than last year during their growing pains. USAS won’t always remain more weighted towards base metals than Silver, so that isn’t accurate. Again, they’re mining Zinc/Lead more aggressively now by design and have openly communicated that strategy to the marketplace, just like they’ve repeatedly stated that they are purposely holding off production of most of their higher grade silver stopes at present at Galena in Idaho and in their mines and development projects in Mexico. Darren has mentioned that when they want to beef up their Silver production they’ll actually need to switch their processing and flotation tanks to make a Copper concentrate with the Silver, over the Zinc/Lead concentrate now. When they announce that (likely in a year or so) that will be the cue they are going back to more of a Silver focus. Their costs and resource size are far superior to those of (IPT) Impact Silver, not to mention that they just picked up a great high grade Gold/Silver asset by acquiring Pershing Gold on fire-sale. I like Impact, but they don’t even have official resource estimates, but their costs are much higher than USAS. What I like about Impact is their exploration potential and microcap leverage, but even IPT is diluting down their Silver exposure to focus more on Gold this year. > USAS still have San Felix in the pipeline after that they scored an awesome acquisition on from (SCZ) SantaCruz Silver so they have PLENTY of Silver….. they’re just waiting for $20 Silver prices so that they can make good margins on it. Ex, you sounded the same a year ago and IPT spanked USA since. We’ll see which one does better from here. Fun fact: IPT:USA is currently up 30 times since the ratio low over 15 years ago and was up as much as 80 times in 2016. If silver production ever exceeds its base metal production, it won’t be soon. Do you have an estimate as to when that might happen? Matthew – I just described that USAS had growing pains in 2018 and it took them until the 4th quarter to get their production up where they expected it to be all year long, but they are there now. I like IPT, and because it is a microcap, with more upside leverage due to their costs being worse and thus more of a percentage increase to their margins when Silver rises then I’d expect them to have more torque. USAS is a much larger company with exponentially more resources than IPT, but they’ll still have great torque for a Mid-Tier Silver/Zinc/Lead/Gold/Copper producer. It isn’t like IPT Impact knocked the ball out of the park over the last year, or performed well at all….. USAS just pulled back harder than IPT, which had already plummeted harder in 2017, and again, the market punished Americas Silver last year for their slower than projected ramp up. That won’t be the case in 2019. As for when their Silver ratio will increase over their base metals, like I said above, the cue that the shift is happening will be when they shift from producing the Zinc/Lead Concentrate to a Copper/Silver concentrate. Keep in mind, that once they get this Pershing Gold transaction finalized, they plan to put it into production for Gold/Silver in under 12 months. In addition, I’m shocked that nobody is factoring in San Felipe (that they bought from Santacruz & Hochschild for a song & dance with epic Silver reserves). It will likely take 2+ years to get San Felipe into production, so that’s when I’d expect Silver to overshadow the Gold/Copper/Zinc/ Lead. The biggest near term hurtle for USAS is that once the Pershing Gold transaction is closed, then they’ll have to do a capital raise to finish getting it into production, but they’ll accomplish in 12 months what Pershing couldn’t in 12 years. Timing is always everything, Ex. That’s why I focused on IPT a year ago. It tripled versus USA in 2018 and is likely to keep its edge for many reasons beyond what you are saying about costs. Being able to trade some IPT shares for three times as many USA shares in just one year is no small thing in my book. USA is far from a mid tier, btw. San Felipe is very much a base metals play for now. Its silver grades are terrible. The Silver grades at San Felipe are on par with many other companies projects in production currently, and the base metals make the economics fantastic on that project. If you watch the video interview below with Sean Broderick, Darren mentioned that their Silver production at San Rafael will be tripling over the next 2 years, that they’ll have 90,000-100,000 ounces of Gold out of Pershing Gold’s Relief Canyon (some of that will be Gold equivalent ounces from Silver), and their Galena Complex in Idaho has tons of Silver sitting in waiting for higher prices. USAS has over 100 million ounces of Silver in the ground, which is PLENTY of leverage to rising prices, but they also have a nice Gold resource now, as well as tons of Zinc & Lead and fair amount of Copper to reduce the costs and improve the economics. Very few companies will be able to ever get down to their cost structure or economics, and by this time next year, Relief Canyon will be ramping up as their 3rd major mining complex. Honestly, I can’t see what not to like? Being on par with other companies is meaningless. 50g/t is still terrible. It’s not amazing grade, but it’s plenty economical with the Zinc & Lead, and they’re not done exploring it but picking up where Hochschild and SantaCruz left off. By the time they get around to producing from it in 2+ years metals prices will be even higher, thus improving the economics and production profile even further. They just found 200 meters of 400+ g/t Silver at their new Zone 120 discovery. That’s not super high grade but it is really wide, and projected to be able to produce at $8-$9 per ounce Silver equivalent. They have a range of projects, grades, and types of commodities depending on which project you look at. I don’t park my most speculative money in USAS but rather deep storage for stable growth over the next 3-5 years. If I want thrills, spills, and chills I invest in torqued up little explorers. They achieve different diversification goals and places in my portfolio. I don’t hold royalty companies for the same kind of returns as a microcap developer or tiny producer either. My point is that it’s terrible on its own. Silver is a byproduct of that base metal operation. If zinc and lead production were halted, it would be uneconomic to mine. In Mexico, 400 g/t is plenty. I agree with your point about Silver economics if it were stand alone, but the reality is that the Zinc & Lead do give good enough credits to make it work and likely will for years to come. Currently the market isn’t giving them any value on the 12 million ounces of Silver, 718 Million lbs of Zinc, and 319 Million/lbs of Lead at San Felipe. As for the find at Zone 120 the grade is fine with hits over 400 g/t, but double that for Silver equivalent ounces on some of the drill holes. "At Zone 120, eleven of the latest thirteen holes delivered significant mineralization over impressive widths. Zone 120 is becoming a substantial deposit with the potential to become the Company’s next operating mine." Oops – I miss-read that press release. Those numbers posted above were for Galena in Idaho not Zone 120 near Cosala Operations. The only thing I would disagree with is that actually (SVM) Silvercorp is the lowest cost Silver producer in the world, but (USAS) Americas Silver will be a close 2nd place in 2019. One MAG Silver gets into production (if they ever do) they’ll likely come in at #3. It would be better if the low costs were due to the economics of their silver rather than their base metals. A global economic slowdown would send cost higher; possibly a lot higher. How much silver could USA mine profitably if zinc and lead were to collapse? Considering some of the grades we’re talking about, maybe none. As long as Zinc/Lead stay above $.80 they’ll be able to move right along, but admittedly not at as good of economics. Anything over $1 Zinc and $1 Lead makes them one of the lowest cost Silver producers out there. They had Negative cash costs in 2018 — how many companies can say that? Honestly, I don’t care what commodity a mining company is producing as long as they can do it economically. Whether it is from pure Silver or Silver/Zinc/Lead/Gold/Copper mixed to producer great Silver equivalent ounces…. I care not. Doesn’t that go without saying? PMs are counter cyclical. Pure-plays are more desirable for a reason. As a PM investment, base metal plays with PM byproduct credits come with a whole other set of risks. I care. Thanks Matthew. I appreciate your perspectives and approaches to investing. Personally, I’ve got plenty of other Gold & Silver stocks (including IPT) that will participate in any PM appreciation, but am very impressed with the new team behind USAS the last few years, and their diversification of having both a PM & Base Metals component as an “all weather” company. 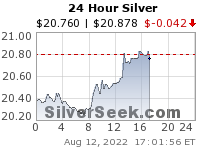 Americas Silver has a strong shareholder base, good liquidity, is on the big board, and has plenty of room to get re-rated much higher, especially once they finish ramping up Santa Elena, bring on Relief Canyon, kick on the Copper/Silver circuit at Galena down the road, they have a new Zone 120 discovery that may become their 4th mine, and they can eventually bring San Felipe into production as their 5th mine. The 2nd interview below with Nick Hodges from the Outsider Club is really a great overview, and Darren discussed their current base metals plan and strategy to really ramp up their Silver production when prices make sense. I was wrong they have over 123 Million ounces of Silver in the ground, 2 of the mines are built/permitted and standing by for higher production amounts, and that means a lot of pent up value that could explode into the marketplace at $20+ Silver. I review mining companies every day and am very impressed with the current lay of the land, and actually like the Zinc/Lead markets and Copper markets in addition to Gold and Silver and get them all inside of one well-run company. Correction the interview with Nick Hodges from Outside Club is above, and I had lost track where these posts were going on this page. haha! To repeat what I said above: I can’t be too bearish the stock at the current price and would be inclined to buy if it fills that huge Dec. 27 gap. Especially longer term, it does have plenty going for it. Several months ago I mentioned that USAS is purposely going after their Zinc/Lead and saving their higher grade Silver assets for when metals prices are higher. It makes all the sense in the world to not blow out their Silver resources to make a tiny margin today, but rather to save them for better prices to come. At least Americas Silver has the assets and resources to be more base metals focused now while Zinc & Lead prices are higher than they’ve been in years previous. (SVM) Silvercorp is doing the same thing and it really has helped their margins, where most Silver companies are doing belly flops. What doesn’t makes sense are the Silver companies blowing out their best resources and high-grading in this lower metals price environment just to barely get by. Now they’re going to have to raise more money, to do more exploration, and replace those reserves which will only be dilutive to existing shareholders. Why not save the goods for better margins? > Consolidated cash costs for the year were approximately negative ($0.59) per silver ounce, a decrease of approximately 105% when compared to fiscal 2017, while consolidated all-in sustaining costs (“AISC”) were approximately $9.82 per silver ounce, a decrease of 26% year-over-year. – Consolidated production for Q4, 2018 of approximately 1.8 million silver equivalent ounces and 0.4 million silver ounces, representing increases of 28% and 22%, respectively, when compared to Q3, 2018. – Consolidated cash costs for Q4, 2018 were approximately $1.27 per silver ounce, a decrease of approximately 74% when compared to Q3, 2018, while consolidated AISC were approximately $11.86 per silver ounce, a decrease of 26% quarter-over-quarter. – Cosalá Operations milled tonnage increased by 3% over fiscal 2017 as San Rafael achieved its goal of sustaining a milling rate of over 1,700 tonnes per operating day by the end of the third quarter of the year. Production for the year of approximately 4.2 million silver equivalent ounces including approximately 450,000 silver ounces, representing an increase of 75% and decrease of 51%, respectively, when compared to fiscal 2017. – Cosalá Operations cash costs were approximately negative ($37.95) per silver ounce and AISC were approximately negative ($19.66) per silver ounce, representing significant decreases year-over-year from cash costs of negative ($0.13) per silver ounce and AISC of $0.57 per silver ounce. – During 2018, Galena Complex production was negatively impacted by two separate issues at its No.3 Shaft that inhibited normal hoisting for approximately 27 days in total. As a result, production for the year was approximately 2.1 million silver equivalent ounces and 1.0 million silver ounces, representing decreases of 10% and 15%, respectively, when compared to fiscal 2017. – Galena Complex cash costs were approximately $16.68 per silver ounce and AISC were approximately $23.45 per silver ounce, representing increases of 13% and 16%, respectively, year-over-year. – The Company had cash and cash equivalents of $3.5 million at December 31, 2018. Thanks Wolfster. Yes I enjoy reviewing stocks with Matthew as he looks at things differently than I do, considers different criteria, and it is good to get opinions that don’t line up with one’s own views for contrast and to point out potential holes in ones investing thesis. I sure appreciate it when we can peel back the layers on a stock in a friendly way, and debate the pros and cons of any company. By that rationale GZZ has the high ground and should always be trading at a premium to RZZ, but the markets don’t seem to understand this fact…… yet. Once more focus goes on RZZ for their main royalty, then maybe a few more analysts will wake up to this. Enjoy it while you can…………looks like gold is getting a new lease on life today…..
Hey Boys, GOT SILVERCREST? A 60% move since the post Thanksgiving low. Wow, Marty, a 35 bagger in three years?! 😳 I hope you collected every bit of those gains! Matt, always trimming after 21 years thanks to Financial Sense.com & David Morgan, Sinclair in the metals arena. Of course. What I really meant was that I hope you were in it near the low. Hey Marty – I had Silvercrest 2 different times but only caught a fraction of the move. I follow it but feel it is more properly valued than most other Silver stocks due to their massive exploration success. We’ve discussed it on here a number of times over the last few years as the leader of the pack in Silver exploration plays. It’s grades are insane, and only matched by (EXN) Excellon and (AXU) Alexco. (SIL) Silvercrest is one of those discovery stories that just kept running and running, as the drills kept hitting. Truly a stand out exploration story in the space with a team that already nailed it last time and they sold their prior project to First Majestic. It looks like they’ve done it again, so hat tip to their team! $5.35 US PRICE OBJECTIVE for SILV(US). Started trimming @ .30 increment starting @ 3.22 US. SOLD @ $3.52 earlier today. Major reversal with volume in USD. DXH19 @85.83 , the key level.